If you like to travel or camp in style but don’t have the budget to purchase a brand new motor home, buying a used RV could prove to be a great option. A used RV will not only be easy on your pocket but it usually comes with some value added services, thereby making it a good investment after all. After ensuring the look, build and health, the first thing that you must ensure when buying a used RV is that it has an extended warranty. New RVs come with a limited warranty and of course a bigger cost, too. Since maintaining an RV is an expensive affair, most owners extend the warranty on their vehicles after the initial warranty expires, to be able to guard themselves against paying big damage or repair expenses in future. However, you must read the fine print carefully to understand what exactly is covered and what isn’t in any type of service plan or warranty contract. If you want to buy an RV with the plan that as soon as you get your next pay raise you are going to upgrade to a larger RV, then it’s indeed best to consider buying my used RV. If you buy a new RV and sell it within the first couple of years, you might not get back the hefty amount you paid to acquire it. Meanwhile, if you buy my used RV at a discounted price, you wouldn’t mind selling it off at a lower cost or perhaps save some cash to modify and accessorize my used RV with all up to date amenities. A new RV will depreciate faster than a used one for the simple reason that the new vehicle has not ever been out on the roads and hasn’t withstood the test of time yet. A used RV, on the other hand, has survived tough conditions, and its problem areas, if any, has already been addressed by its owner, thus making it tough and tolerant. Subsequently, the maintenance cost of such a vehicle will be lesser. In the United States, where RVs are taxed as property, the cost of the license is proportional to the value of the RV. The higher the cost of your RV, the higher will be your license cost. If you are looking at not shelling out much on such fee, it always makes sense to buy my used RV, which will be lower in value compared to a new one. 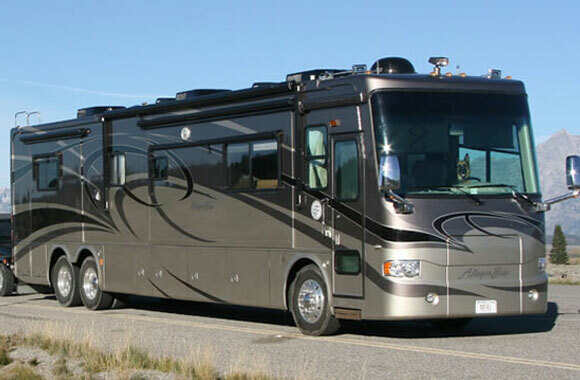 All these benefits apart, the most exciting part of buying a used RV is that instead of spending big bucks on buying a new model, you can actually spend that extra amount to buy a used model and customize it with more advanced, extensive and luxurious features as per your choice, needs, family structure, habits and travel plans. So, what are you waiting for? Buy my used RV today and enjoy all these perks at a much lesser price than a new one.